Bedford Landings proudly introduces a Mark Halbeisen, a massage therapist who can be scheduled for a personal massage when you stay with us. Mark is a Licensed Massage Therapist who attended the Potomac Massage Training Institute graduating in February 2000. He continues to attend seminars on various types of massage to meet the continuing education requirements to maintain his license and to continue to learn techniques. 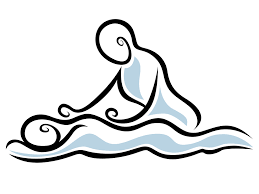 He is a board certified massage therapist and in good standing with the American Massage Therapy Association (AMTA) License as well as holding a Virginia license. 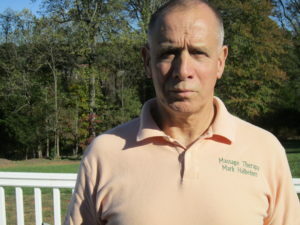 His massage techniques include sports massage, connective tissue (myofascial) massage, as well as assessing client posture relative to what is needed in the massage. Previously, he was in the United States Air Force, where he became an X-ray technologist. Upon leaving the USAF with an Honorable Discharge, he was employed at Georgetown University Hospital (GUH) for 28 years as an X-ray/cardiovascular technologist and an administrator. After managing his own massage therapy practice in Mclean, VA (2009 – 2014), he decided to move to Bedford, Virginia where he works for Massage Envy in Lynchburg part time and does independent work the remainder of the week. Bedford Landings is fortunate to have met Mark so we can refer him to our guests. Great idea. Another bedford Landings service!! !